Posted by littlelc on Thursday, January 8, 2015 in Courses, Fall 2016. Catalog Description: How social movements shape contemporary American Jewish culture and politics. 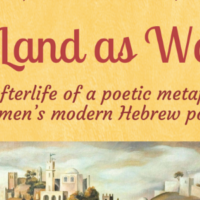 Explores movements internal to Judaism and those bringing religion into the public sphere. From the Syllabus: Social movements change worlds. They mobilize and empower people to shape policy and to create new visions for social life. Social movements have toppled governments and built countries. They have liberated some and victimized others. They have overturned traditions and changed values and lifestyles the world over. This class examines the major Jewish social movements of the past century to understand the role they have played in creating the Jewish world of today. Through this, students will come to better understand the nexus of religion and politics in Jewish life, the cultural dimensions of political movements, and the major sociological approaches to the study of social movements.